Curled up in the fetal position I would clutch my abdomen as the cramps grew worse. With each wave of nausea I would breathe in deeply and imagine the pain away. Even in my 14-year-old mind I knew there was something wrong. None of my other friends experienced their “monthly gifts” quite like I did. None of them required heating pads, constant pain medication, a day or two off school, and constant visits to the nurse’s office. The school nurse knew me by name. Once a month she would expect to see me. “That time of the month again,” she would say as she would guide me towards the pink beds. I would lie there for an hour, feeling the cramps roar through me. The pain would radiate through my abdomen and around my back. It would make its way down my legs to my kneecaps. The nausea accompanying them would be unbearable. Aside from the pain, Mother Nature would pick and choose when she decided to bring my monthly gift. Sometimes I would go three months with no guest appearances. Other times she would arrive for two months then disappear for four. There seemed to be no rhyme or reason for her visits. All the while my doctors told me this was normal. They gave me painkillers and sent me on my way. At sixteen I saw my first obstetrician gynecologist. An older Indian gentleman with a hunchback and a walking stick he ordered a number of tests. He was the first person to give me some sort of diagnosis. Some sort of answer. Women are incredibly resilient to pain, and this often leads us to ignore vital warning signs. For years I tried to deal with the pain but I wanted my doctors to know this pain was real. I was passed from doctor to doctor, from gastroenterologist to urologist, from general practitioner to obstetrician gynecologist, and all the while they would run expensive tests and draw buckets of blood to no avail. Jumping from birth control pill to birth control pill I would navigate the mood swings like a ship on a turbulent sea. With each pill there would be a slew of new, strange symptoms like hair loss, acne, and weight gain. By the age of 27 I was diagnosed with Irritable Bowel Syndrome (a disorder caused by anxiety). But my brigade of doctors had slapped me with yet another diagnosis: hypochondriac. Was it really all in my head? Lucky for me I had the foresight to say, something is wrong and I need to do something about it. I had to be my own detective. A quick Google search for ‘reproductive specialist’ brought up a website for Reproductive Associates of Delaware, where I spoke to Dr. Rhonda Wright. “Tell me about the pain,” she asked. “What other symptoms do you have?” Not only was she listening and writing things down but she seemed to understand completely. After some more lab tests I was delivered a firm diagnosis: Polycystic Ovarian Syndrome, also known as PCOS. “It’s really a misnomer because the problem doesn’t arise from your cysts,” said Dr. Wright, “but it arises from an imbalance of hormones.” On top of the PCOS Dr. Wright suspected I had endometriosis. She made an appointment for me to see their Medical Director of Reproductive Surgery: Dr. Barbara McGuirk. Polycystic…what? Endometri…huh? I had to say the words over and over on the car ride home. I felt like I was being sucked into a black hole never to come out again. Lying in bed that night I looked online to see how many of us were out there: women with PCOS, or or women with endometriosis. I was shocked by the results. There were millions of women just like me, millions of women in pain, frightened, and alone. 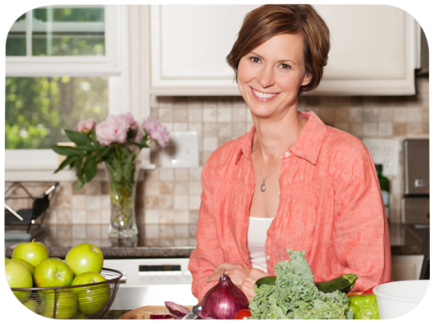 One such woman who was spreading the word about PCOS was Amy Medling, blogger, health coach, and founder of PCOS Diva, a website for women with PCOS. “I want women with PCOS to know that PCOS isn’t an end of the world diagnosis. It is an opportunity to live life like a diva. By taking control of your health and making a commitment to consistent lifestyle change, you can successfully manage PCOS.” Medling suggests women with PCOS eat a gluten-free, dairy-free, and soy-free diet high in vegetables and low in fat. She also recommends exercise, meditation and moving from a negative mindset to a positive one. Making lifestyle changes are important but are difficult when you are not in the right frame of mind. I didn’t know how to take control and I didn’t know where to start. I felt overwhelmed. After talking to Dr. McGuirk I decided to go ahead with the laparoscopic surgery. I figured I would tackle the endometriosis first and then see what I could do about that other disease with the funny name. The surgery day came and went and then came a period of rest and healing. I was thankful to have such a great surgeon who took time to explain everything to me and listen to my concerns. Dr. McGuirk found endometriosis lesions on my uterus, bladder, and intestines, which would explain my digestive problems. I realized how important a surgery like this really was. Speaking to other women I was shocked by just how many women had no idea about endometriosis, or that their pain can be treated. Most of them didn’t know about Polycystic Ovarian Syndrome either, even though they exhibited all the symptoms. Right then and there I made it my mission to get on my soap box and start making a change. Sometimes when your body is sick your mind becomes sick too. 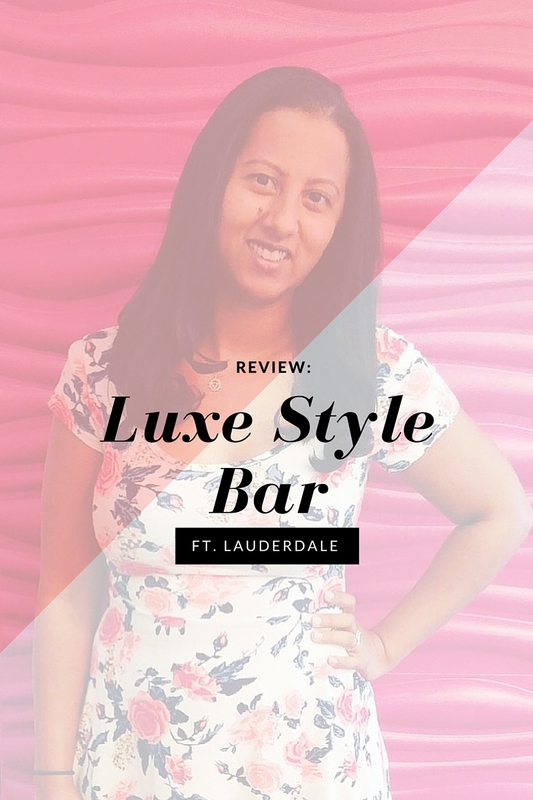 After the surgery, endless doctor’s visits, and nights of excruciating pain, I found myself wallowing in a very dark place. I wondered why this was happening to me. What had I done to deserve this? Taking to my twitter account I was comforted to speak with other PCOS divas and endo sisters. Some of these ladies had been through ten to fifteen surgeries, suffered every day in excruciating pain, relied on extremely strong narcotic pain killers, and lived through the anguish of multiple miscarriages. How did I have the right to complain? As the wounds from surgery began to heal I saw a glimmer of hope. I realized the importance of keeping a positive frame of mind and I started, slowly, to pull myself out that black hole and get back out there into the light. With the help of PCOS Diva I managed my symptoms by changing my diet and curbing old eating habits. I began to actively participate in yoga and exercise programs. I found that yoga really helped both my PCOS and endometriosis symptoms. Pain can be relieved through yoga. Allanah Law, yoga teacher, therapist, and founder of Yoga Yin, a yoga center in Australia that focuses on women’s health, understands first hand the pain that accompanies endometriosis. After years of suffering through the pain going through surgeries and a daily combination of Codeine and Naprogesic, she decided to take up yoga. It was the best decision she ever made. As yoga became part of my fitness routine, I started to feel a change in my body, but most importantly my mind. The more I examined the foods I ate, the better I felt. In time I began to see a light at the end of the tunnel. Now I understood what Amy Medling meant about keeping a positive frame of mind and what Allanah Law meant about “letting go.” I started to let go and look up and from that curled fetal position I found my way up and out the door. Today, I feel healthier than I have in many years and I just take each day as it comes. There will always be days that are worse than others but I am finally ready to face the pain and not let it control my life. I’m thankful for this journey, even with all the trials and tribulations, because it made me who I am today. And I hope for a world where women’s reproductive health can finally be given the attention it deserves. Until then, I’ll be out there in the sun. I wrote this article back in 2011 and my life has changed SO, SO much since the time I sat down and poured my heart out on this page. It took many years of trial and error for me to find what worked for me with PCOS and endometriosis and I want to teach you my secrets. 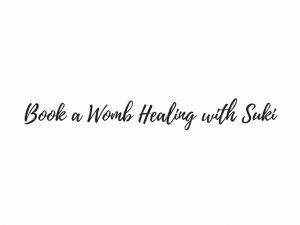 Firstly, will you join my Natural Healing for PCOS and Endometriosis Facebook group? Next, let’s schedule a free call so I can hear your story of pain and perserverance with either PCOS, endometriosis or both. 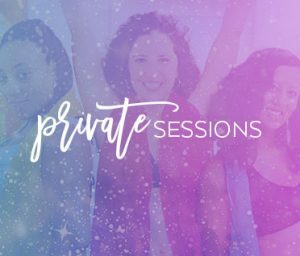 Click the “Private Session” image above to book your free 15-minute Endo + PCOS call with me here. Lastly, join us for monthly PCOS and Endometriosis Sisterhood Healing Circles. Learn more by joining the Facebook group! Thank you! I will keep posting more about endo and PCOS. Lots more to say but its nice to hear from others who may be in pain. We are in this together. Hi, i was wondering if you could help me please. I want to do this endo diet but cant find a list of foods to have for breakfast,lunch and dinner. Could you point me in the right dirction please. Hi Amy, yes of course I will help. I will put together a list of foods and put it up on my blog. Make sure you follow the blog so you get notifications of new posts. Don’t worry, you’re not alone. Endo sisters and PCOS divas are everywhere. It just makes us that much stronger. Wishing you the best, Sookton. I would love a list of foods to eat for meals to help with PCOS and endo as well! Good morning, I’m writing this comment with tears streaming down my face because what you’ve described is what I went through. I got my period on my 14th birthday, great gift, and suffered with increasing pain. It got to a point where for 2 days I couldn’t leave the house, curled up in a ball on my bedroom floor because the pain was that bad. I would throw up 2 or 3 times the first day and also had diarrhea the first few days. I tried to manage the pain with Naprogesic, taking two full packets of pain killers each time i had my period, and gave myself stomach ulcers because of it. I tried every herbal oil, cream and tablet there was to try, but nothing worked. My doctor didn’t diagnose me with anything other than a painful period, putting it down to me being young, and not used to normal pain symptoms. He eventually put me on the pill to help with the symptoms. It took 2 years before the pain subsided, into something manageable, and then finally became non existent. But that was almost 20 years ago, now that I think about it. I’m off the pill now, have been for a little over a year, and my symptoms are returning. In the last 3 years I have had surgery to remove high grade cervical abnormalities, have had surgery to remove a large cyst on one of my ovaries and have recently, last year, been diagnosed with PCOS. I never pursued further answers, like you did, for these symptoms until now. What I don’t understand, with all the healthy eating, non drinking, no coffee, more exercise advice that is on the internet now, is that I was doing all of that when I was younger. I certainly didn’t drink alcohol or coffee when I was 14. Exercise was regular as I walked to and from school everyday and did athletics in school, and I ate extremely healthy, as that was the way my mum cooked. As for what I do these days… I’ve taken control of my diet and exercise as much as I can already. I’m 5’9 and a healthy 61kg. I don’t eat gluten, I bloat if I eat it, I’ve removed sugar from my diet and eat small frequent meals throughout the day. I’ve cut down my alcohol and coffee intake and for fitness I’ve taken up waitressing again (instead of paying to go to a gym I get paid to work out) which means I get a minimum 3hrs of exercise 3 times a week. It also helps with my moods as I’m happy where I work, who I work with and the customers I serve, as well as the fact I get positive validation for the work I do. SO… My last resort, taking into account all the previous things I’ve tried, and am currently doing, is to take up Yoga? Other than this, I’d truly appreciate any advice you might have. Thank you so much for sharing your journey! I will be emailing you some additional tips and am working on an ebook about how to naturally cure PCOS and Endo symptoms. I know how hard it is but it sounds like you are making positive steps. Reward and thank yourself for that! It gets easier in the long run when you finally crack your body’s code. Hi there, i was diagnosed with PCOS when i was 18 when no period ever came. I was given a shock treatment of something to make it start. From then onwards it came when it pleased. I don’t recall any symptoms to clearly now, as i wasn’t really worried about things then as a teenager. As i got older more symptoms arose and i was put on the pill. And for Contraceptive purposes as well. Since i struggled so much with weight gain and struggling to lose it. My Gyne changed and put me on Metformin to try regulate. And i got the copper t for contraceptive as i wasn’t ready to get pregnant then. I was on Metformin for some years and managed to lose about 5kgs while on it over some years. The copper t started giving me hassles so i had to have it removed. The Metformin then started giving me side effects as well. so they took me off that as well. Now i am on Yaz. I have been on Yaz for a year now. With no significant problems. (i still can’t lose weight, but i manage it so that i don’t gain by eating wholewheat and watching my sugar’s and alcohol intake). My periods come on time now within a day or two of when they are supposed to on the pill. For as long as i can remember my periods have always been between 7-9 days. the last few days just spotting. Not to many clots usually. I usually only get pain and mood swings a day or two before and during. and then they go away. Last two months i have had very short periods with hardly any bleeding, only when i wipe. I have a headache most days. Nausea on and off during the day until i eat something. Terrible Mood swings and generally just feeling exhausted yet can’t sleep through the night anymore which i used to be able to. Very forgetful. Since my last short period i have had dull aches almost daily that move around from my ovaries to just below my ribcage on either side or on the side. Not sure if its gas or not. So tried Citra Soda and watching what i eat to try help. As well as dull back ache daily. Tried changing how i sleep and my chair at work. I did vaguely think i might be by a miracle pregnant. (not that i’m trying to yet) Did a pregnancy test. Came up negative. Still having all these odd symptoms. Are all these normal for PCOS while i’m on the pill, YAZ. Haven’t changed anything else, so i’m not new on the pill or anything like that. I really do feel rather crazy most days, and when i go back to my doctor they do all the usual tests, scans etc and they just say its my hormones. But surely it should be easier to manage so that i don’t have to have all these symptoms daily throughout the month. I,ve also been in that boat since 13, now 30. A year ago I went vegan, I really do belive it’s the hormones and protein of other species who causes all of human disease. Wholefood high carb, low fat vegan diet is key. I hope one day everyone choose the natural way of healing instead of making everything worse by using medications. Another thing is also that there is no point in fixing anything if we dont have a earth to live on in the nearest future.. All I can say, If you havent already… Choose compassion, Go vegan <3 and feel your best. You should check out http://WWW.Stopmypain.us to stop the pain of Endomitriosis. 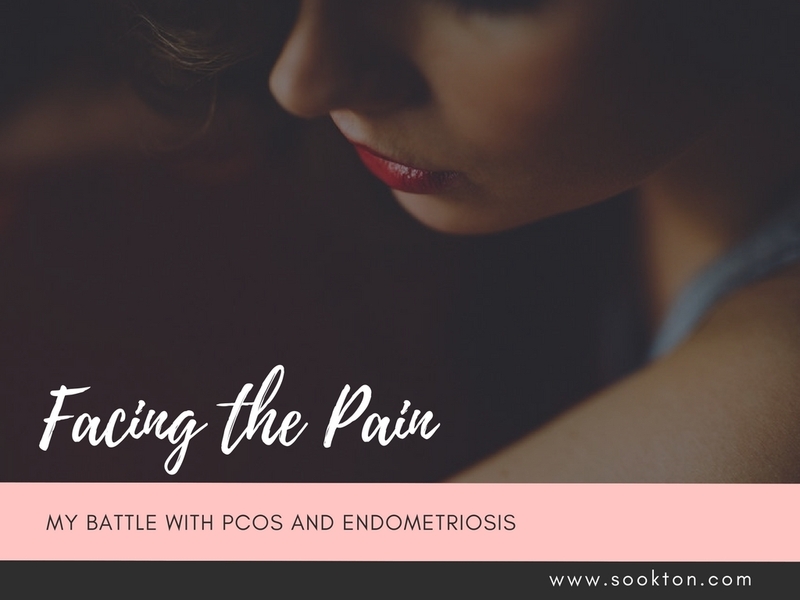 I have suffered with endometriosis and POS since I was a teen. I am now in my late 40s. I have gone through decades of surgeries and fertility treatments and have suffered painful menstruation for as long as I can remember. I also suffer from arthritis and in my early 40s managed my arthritis pain with the Dr. McDougal diet. The diet also alleviated much, but not all of my menstrual pain. I went off the diet when I was pregnant with my daughter who is now one and a half years old. I didn’t get back on the diet until recently. We recently had a cold front come into the state and my arthritis pain went off the scales. I realized it was time to get back on my diet which starts with a 7-10 day fast. Coincidentally this coincided with my menstrual cycle and, for the first time EVER, I have NO cramps, bloating or pain. It is amazing Holly how when we change our diet, our body responds. I believe Endo can be super triggered by our diets. Good job! How are you feeling now?